Sommos restaurant is a space to enjoy our gastronomy with spectacular views of the vineyard and a large terrace. Alfonso Mora, Head Chef of Restaurant Sommos, has a long history working in prestigious restaurants. He offers traditional cuisine with seasonal local products. 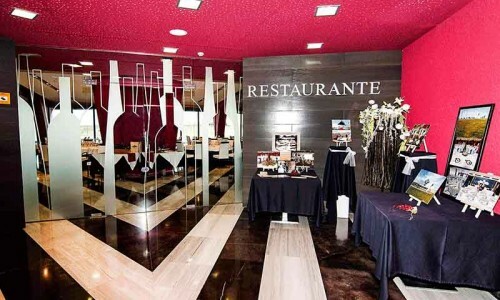 The restaurant offers tasting menu (30€), Steak menu (38 €) and seasonal a la carte menú, accompanied by Sommos wines. * Consult the menu for groups.